Mit vielfältigen Medien analysiert der in Berlin lebende Künstler aus Kairo bewusste und unbewusste Entscheidungen, durch die menschliche Erfahrungen geprägt sind. Ahmed Kamel scrutinises the world with finesse. The Berlin-based artist from Cairo uses a variety of media to dissect the conscious and unconscious choices that have come to define human experiences. The type of medium is strictly related to the topic Kamel wishes to depict. Photography, for example, is his weapon of choice for exploring social issues. His documentary-style images focus on mundane daily or occasional events, “domestic and social structures have had quite a big impact on my artwork” explains Kamel, “these visual representations can provide clues about people in a certain society and their lives, and act as a marker of their social and cultural background”. In his quest to understand the way self-consciousness and self-representation interplay in social identity, Kamel has often chosen to use the private home as a reflection of people's individuality. In his series, Home-The Self (2003 - 2008), the artist portrays people through elements of their belongings. Those that have been carefully chosen, for example, a couch and its decorative cushions, as well as ones likely bought more casually, like an ironing board. These objects become the portrait of their absent owners. In Family Portraits (2003-ongoing), however, the subjects are present. 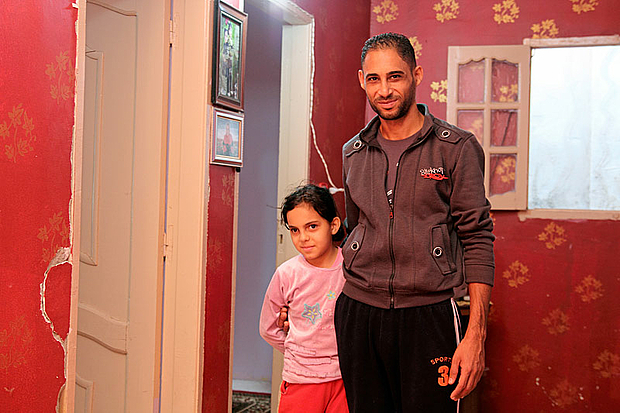 Kamel captures families from all over the world gathered in their living rooms. A sensitive aura radiates from the manner in which these relatives welcome the foreign gaze within their intimate environments. Each member chooses how to present themselves as a group, as well as individuals within said group; one might retain a grave expression while another can’t help but laugh. This complicity is also illustrated in the series Sight (2012), in which the artist portrays individuals who have had their eyes injured during the 2011 Egyptian uprising. For this project, Kamel asked his subjects to choose a loved one to pose alongside them in their favourite corner of the house, resulting in tender moments that contrast the violence of the series’ theme. A lot can be guessed from these humble images, “the home, its interiors and its inhabitants are loaded with visual fragments of personal histories, tastes and aspirations” explains the artist, “in other words, home is a space where people might express themselves freely, especially in big cities. The different ways in which these spaces are designed, and their people are dressed, symbolise the taste and habits of a specific social class and represent the image they claim.” Behind the camera, Kamel attempts to disappear, leaving his subjects the freedom to stage themselves however they prefer, and interferes as little as possible with the general look of the image, anchoring his practice in reality. The artist prefers other mediums for expressing more personal and conceptual ideas, in particular, drawing. “While drawing nothing separate between the will and the result, except for the pen and white surface,” he says, “for me, it’s the closest medium to express feelings and thoughts”. 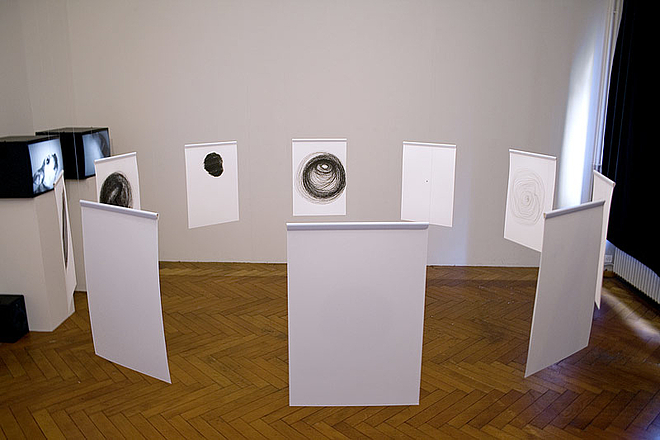 His installation Spiral (2010), for example, explores the concept of conflict. It consists of ten drawings arranged in a circle near two televisions, broadcasting a video of dogs barking at one another. On each piece of paper, a spiral is drawn in black ink, forming dense and abstract shapes. Staring at those inescapable vortex provides a salient feeling of an endless battle. An effect sought by Kamel for whom “a spiral usually emerges from a small point; dramatically moving and growing like a fire/snow-ball. It might get intertwined and spread like cancer, or it might appear agile and systematic. In any case, it is a complex composite, and the conflict between its lines is not easy to solve, whether it is an inner or an external, multi-layered conflict”. Kamel explored the power of a symbol's repetition in several other works including The Book (2014) and Repetitive Units (2014). 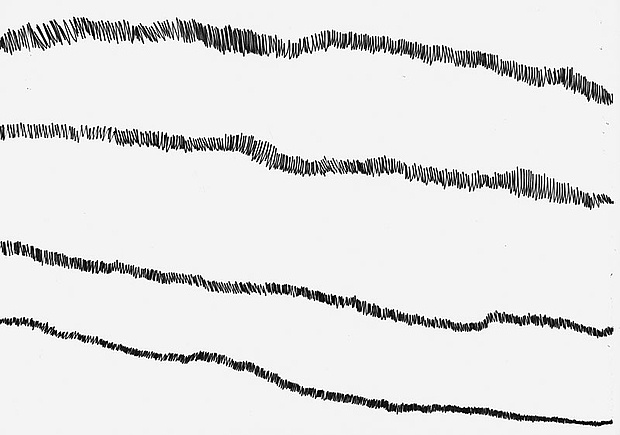 In the latter, the artist drew a series of lines on white pages. Some are extremely condensed, hundreds of strokes dashed against one another in nervous motion. Others are ordered and graceful, following a straight path. Some are chaotic and rebellious, darting off in all directions. This diversity reminds us of the different types of energies and powers that surround us. In Kamel’s poetic words, “the life apparatus draws the line of life that looks like horizontal lines. Stream of consciousness, it is about futility and repetition, it is about breath and heart, it is about language and understanding, it is about earth movement and landscape, it is about sound and skyline, it is about stability and swinging, it is about statistics and relations, it is about rhythm and sleep, it is about levels of light and darkness”. The third medium that Kamel often uses is video, which overlaps the centre line between the documentary nature of his photography and the introspective essence of his drawings. For example, Monologue (2010) is a video that consciously splices together archive clips of old made-for-tv nationalist song and dance extravaganzas, intercut with dry urban video footage and abstract sound, “while the songs provide strong nostalgic amusement, they represent national collective memory and a certain emotional power. By contrast, the video footage almost comes across as a laconic non-response or even emptiness” explains Kamel. Just like his photography projects, Monologue explores the markers of social identity, extended this time to the artificial construction of national identity and patriotic feelings. Viewers’ emotions swing from the elation of the idealised homeland praised in songs and mesmerising choreographies, to the harshness of reality, perceived through glimpses of everyday life. The above examples are representative of the varied body of work produced by Ahmed Kamel. What binds all of them together is the way in which the artist questions others, as well as his own beliefs, with the same sense of acuity. Each tool and medium provide unique answers to the questions Kamel wishes to trigger, explore or deconstruct, resulting in a sensitive analysis of life in our modern day organised societies. Geboren in Paris. Nach dem Studium zeitgenössischer Geschichte in London arbeitet sie als freischaffende Journalistin und Filmemacherin. * 1981 Kairo, Ägypten. Lebt in Berlin, Deutschland.